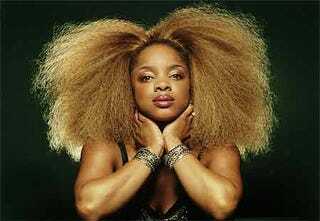 Listening to Leela James reminds you of days past, when soul music touched you in places you didn't know existed. NPR appropriately calls James an old soul, and anyone who has heard her latest single, "Tell Me You Love Me," knows why. In a musical world inundated with track-driven, shallow sounds, James' performance is refreshing and reminds us of the soul music era, which continues to call her. She answers with throaty, mesmerizing vocals that tell a story to which we all can relate. James' latest effort takes us back to the future of soul music.